As Highways England prepares for several major tunnelling projects, it has teamed up with watchdog Transport Focus for some timely insight into road user concerns around these key assets. Proposed new tunnels at A303 Stonehenge and the Lower Thames Crossing will double the length of tunnels on Highways England’s Strategic Road Network. learn from experiences in other countries about how to avoid monotony and boredom in longer tunnels. ability to stop and rest in a tunnel (especially a longer one). Anthony Smith, chief executive of the independent watchdog Transport Focus, said: 'Road users expect driving in tunnels to be intuitive. Highways England must do more to remove confusion about speed limits, overtaking, and what to do if you break down. 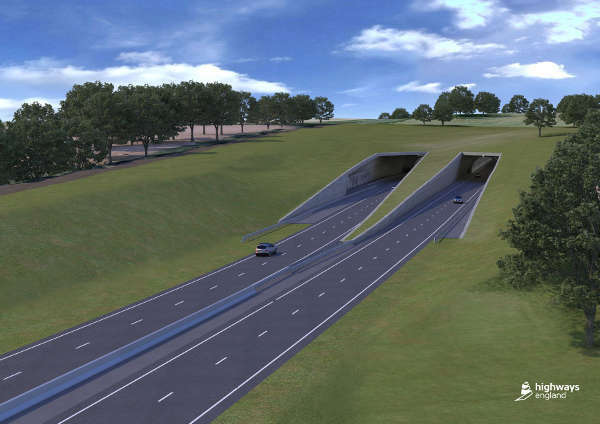 Mike Wilson, executive director ans chief highway engineer at Highways England, said: 'Tunnels are rare structures that are not, for many drivers, a regular experience. Safety systems are a particular characteristic of tunnels and it is important that we understand our customers’ perspectives on safety and tunnel environments. This report contributes to that understanding.